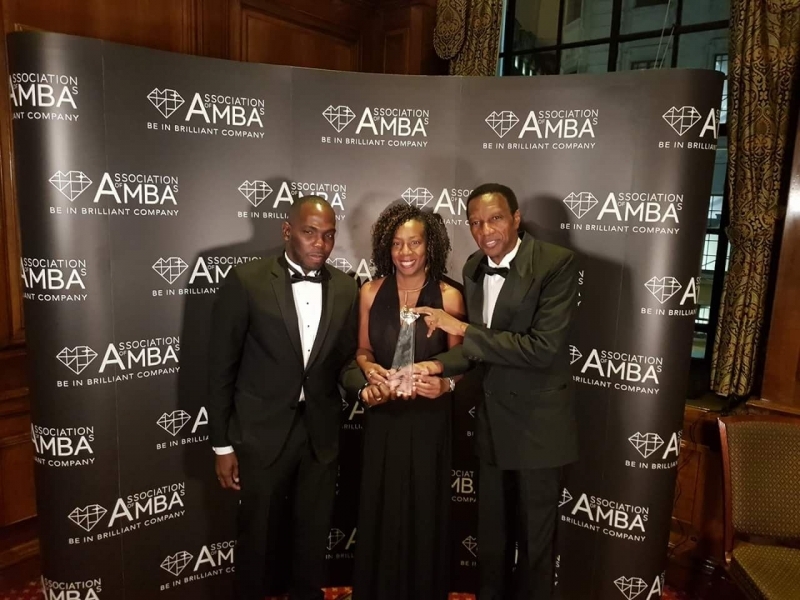 On February 2, 2018 international Deans and Directors, distinguished MBA alumni and MBA students representing a wealth of AMBA-accredited Business Schools met in London for the Annual AMBA Gala Dinner and MBA Excellence Awards hosted by The Association of MBAs (AMBA) and sponsored by Peregrine Academic Services, The Wall Street Journal, and Liaison International. Mona School of Business and Management (MSBM) won the Business School Innovation Award for its Financial Markets Lab at the Annual AMBA Gala Dinner and MBA Excellence Awards. MSBM, The University of West Indies is the only institution in the English-speaking Caribbean, to house a Bloomberg Markets Lab. The Lab provides a range of services that include analytics, communication and a wide array of economic data, and is equipped with a global financial markets simulator provided by StockTrak. This virtual trading room is the first of its kind in the Anglophone Caribbean and brings the School’s technical infrastructure on par with leading international Business Schools. The Bloomberg component of the lab offers an array of information on financial matters; users of the Lab have access to volatility indices, global benchmarks, all the major market indices, a trading platform, and a wide range of portfolio analysis tools. Students are able to apply theoretical learning in a more practical setting, conducting analysis of stock offerings, quotes, currency exchange rates, and perform technical and fundamental analysis in a manner similar to securities dealers, business analysts, investment managers, and financial advisers. The integration of these technologies into the pedagogy for courses such as economics, financial reporting, corporate finance, investment analysis and portfolio management, equity and fixed income pricing, derivatives and alternative investments will expose students to content, tools and techniques beyond traditional course materials. Other finalists in the Innovation Award category included: IEEM Business School, Imperial College Business School, QUT Graduate School of Business, Westminster Business School and Amsterdam Business School. The AMBA Excellence Awards and Gala Dinner celebrates the quality and achievements of post-graduate business education at the forefront of leadership excellence, recognising the talents and contributions made by AMBA-accredited Schools and their students, and was attended by 193 Business School leaders representing 74 Schools and 24 countries across the world.